We all know there’s a difference between consuming edibles and smoking pot. But did you know these 5 facts? Leafly shares the key differences between the two. They both get you high, but consuming pot-laced foods is a completely different beast than smoking weed. Leafly compiles these 5 critical differences between the two, good to know for rookies and veterans alike. We all know there's a difference between consuming edibles and smoking pot. But did you know these 5 facts? Leafly shares the key differences between the two. 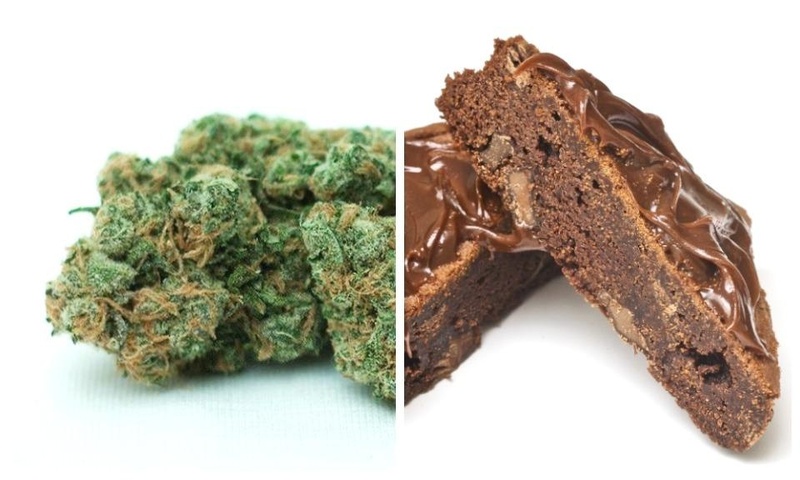 Why are edibles so much stronger than smoked or vaporized cannabis? When you consume edibles, THC is metabolized by the liver, converting it to 11-hydroxy-THC, which gives a more intense high. Edibles can take anywhere from 30 min to 2 hrs to kick in & the effects can last several hours. Compared to inhaled cannabis, they deliver a smaller concentration of cannabinoids to the bloodstream. Even pro's can have difficulty capturing the right dose due to the delay between ingestion & onset of effects. Inhaled cannabis, with its instantaneous effects, allows the consumer to gradually dose. Your distributor may have batches of edibles that vary in potency so be sure to keep it slow, or you may find out the hard way that the batch is a lot stronger than you thought. Many people are interested in edibles because they don't enjoy smoking or are worried about the health concerns. [Vaporization](http://www.leafly.com/news/products/conduction-vs-convection-the-vaping-basics) is another alternative, but edibles provide longer lasting pain relief.